Shout! Factory Kids’ latest collection of Littlest Pet Shop episodes, Littlest Pet Shop: Paws for Applause is yet another fun-filled collection for any fan of the hit Discovery Family series. The newly-released collection boats five more episodes from the family friendly series that will entertain not just the series’ target young female audiences but their parents, too. That is thanks in large part to the writing behind each of the collection’s five episodes. That is just one part of what makes this collection so enjoyable. On a related note, audiences will appreciate that at least one of the episodes included in this collection is largely a musical episode of sorts. This is different from most of the episodes features in the series’ previous DVD collections. It’s actually entertaining in its own right, too. The bonus sing-a-long that has remained commonplace among previous Littlest Pet Shop collections is present here, too. Even as short as it may be it proves to be one more part of the whole of the collection that makes it one more enjoyable set of episodes for audiences of all ages. Littlest Pet Shop: Paw for Applause is not the first collection of episodes from the hit Discovery Family series to see the light of day. It is however, just as enjoyable as the series’ previous collections in its own right. The central way in which it proves itself to be just as enjoyable as its predecessors is the writing that went into its featured episodes. The writing presented in the featured episodes presents both heart and comic element that will put a smile on any viewer’s face. The heart is evident in the episode “Super Sunil.” This episode teaches young viewers the timeless lesson about believing themselves. It teaches viewers that they don’t have to be superheroes to do great things. It does this presenting a story that sees Sunil having to face his fears. It is not until Penny Ling develops “super suit” for Sunil and makes the pair a “super duo” that he thinks he can overcome his fears. He eventually comes to realize in the long run that he doesn’t need the super suit to overcome his fears and do great things. It’s a lesson from which audiences of all ages can take something. For all of its heart, it also presents its own share of comedy as Penny Ling comes to realize that she’s bitten off more than she can chew (no pun intended). She has to deal with Sunil’s delusions when he puts on the super suit. Given, the whole concept behind the episode is familiar as it has been used in some form or another by other animated (and live action) series any number of times in the past. But that doesn’t take away from its enjoyment here. Staying on the element of the writing’s comic elements, older audiences will be entertained by the nonstop Alfred Hitchcock references in the collection’s closer “Back Window.” The episode’s very title is a reference to Hitchcock’s gripping 1954 thriller Rear Window in which photographer L.B. Jeff Jeffries (Jimmy Stewart) discovers a crime in a building right across from his as he sits wheelchair-bound in his apartment. The story presented in “Back Window” even plays off of that story as Russell the hedgehog ends up in a body cast after being injured. Russell swears he sees Blythe’s friend Josh Sharp stealing her discarded designs and giving them to her arch enemies, the Biskit Twins. The difference here is that Russell didn’t actually see what he thought he saw (not to give away too much). That aside, there are references to The Alfred Hitchcock Hour, North By Northwest and other Hitchcock hits throughout the episode that older audiences will especially enjoy. Those combined references show the comic element clearly in this set. It’s just one example of the laughs that are offered up in the episodes featured in this collection just as “Super Sunil” is just one example of the heart presented in the episodes’ writing. The remaining three episodes—“Missing Blythe,” “Blythe’s Big Idea,” and “Some Assistance Required”—each offer their own share of heart and entertainment in their own right, too. Regardless of which episode(s) audiences choose, the writing in each of the featured episodes proves equally enjoyable both for its heart and its comic timing. It shows exactly why the writing behind Littlest Pet Shop makes it a hit for audiences of all ages. It shows even more specifically why the writing behind this set of episodes makes it one more hit for audiences of all ages, too. Of course it is hardly the only element that makes the episodes featured on Littlest Pet Shop: Paws for Applause such a hit. At least two of the episodes featured in this collection offer up quite a bit of musical content. That is rare for this series. So it goes without saying that it makes these episodes stand out even more. The writing that went into each of the episodes featured on Littlest Pet Shop: Paws for Applause is key to the DVD’s enjoyment. It offers more than enough laughs and heart throughout each episode to put a smile on any viewer’s face. This includes both younger and older audiences. It’s just one way in which Littlest Pet Shop: Paws for Applause shows itself to be another welcome addition to any family’s home DVD library. The inclusion of the “musical” episode “Missing Blythe” is another way that it impresses. This episode follows up on Blythe’s joining a prestigious fashion academy while her animal friends remain at the pet store, awaiting her return. Audiences get at least two full-on musical numbers in this episode–one from Blythe and the other from the animals—that is sure to have young viewers singing along happily. It may even find them dancing as they sing along, too. Speaking of singing and dancing, Littlest Pet Shop: Paws for Applause boasts not only five fun, well-written episodes but a bonus sing-a-long, too. That is nothing new to this DVD and its predecessors each also presented their own sing-a-longs. 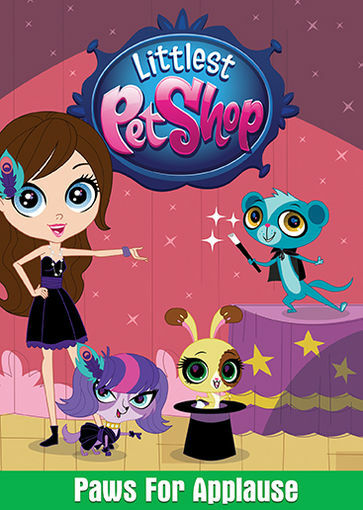 While it is relatively short it will still have viewers singing and dancing along, rounding out the ways in which the DVD shows itself to be yet another impressive addition to Littlest Pet Shop’s already extensive series of DVDs. The bonus sing-a-long that is included with Littlest Pet Shop: Paws for Applause rounds out the ways in which the DVD shows itself to be one more enjoyable addition to the series’ already relatively extensive series of DVD releases. It focuses on Blythe’s “F.U.N. Song” from the disc’s opening episode “Missing Blythe.” It is in the course of this song that Blythe eventually realizes that she’s not as happy as she thought she would be. It isn’t all down as viewers that watch the episode will recall. Its catchy chorus and equally infectious harmonies are sure to have any young viewer singing and dancing along even up to Blythe’s realization that she misses her pet shop pals. Even with the song reaching that moment it still doesn’t take away from the rest of the song. Because it doesn’t, it proves once and for all why it is indeed a bonus feature and a fitting final piece to the whole of Littlest Pet Shop: Paws for Applause. Together with the episodes’ solid, fun writing and the musical numbers incorporated into disc’s lead episode, all three elements combine to make this new DVD yet another welcome addition to any family’s home DVD library. Cary Grant and Tony Curtis’ 1959 military-based rom-com Operation Petticoat is a wonderfully entertaining story that any true lover of film will appreciate. And now thanks to the people at Olive Films, audiences get to see for themselves just why this classic is a must see for audiences new and old alike. That is because Olive Films re-issued the classic comedy earlier this week. This classic comedy could not have come along at a better time. In an era when originality and creativity in Hollywood have become all but extinct, this re-issue serves as an economic and entertaining alternative to all of the prequels, sequels, and remakes currently polluting theaters across the country. The first and most obvious reason that Operation Petticoat works so well is its script. And the acting especially on the part of Curtis and Grant makes for more than its share of laughs. Lastly, audiences will appreciate in this re-issue that the movie looks exactly as it did in its original premiere. These three factors together make this new re-issue of Operation Petticoat an absolute must-have for any true classic movie lover even without any bonus material. Military movies and rom-coms were two of the most prominent genre of films released in the golden era of Hollywood’s major studios. Unlike in the current era of movies though, those movies actually served a purpose. That aside, few studios even then could boast films that blended both genres into one work. There were military dramas that mixed in a romantic drama. But finding one that mixes the rom-com and military is difficult to say the least. Enter Operation Petticoat. Co-writers Stanley Shapiro and Mauriche Richlincrafted a story with their script that successfully blends both genres into one. The success comes mainly in the ability of both writers to have balanced the elements of both genres without letting one overpower the other. Even with part of the story being a rom-com, the romance is kept to an extreme minimum. Yet there is still a slight level of romance there that some audiences will appreciate. The script’s comedic element is more prominent and will most certainly have audiences of all ages laughing uproariously. Audiences won’t be able to help but laugh as Grant and Curtis face off against one another, and even have to deal with the women brought on board by Lt. JG Nicholas Holden. Their ability to interpret the script makes the movie even more worth watching. Cary Grant (Arsenic and Old Lace, North By Northwest, Notorious) and Tony Curtis (Some Like it Hot, The Defiant Ones, The Great Race) make Operation Petticoat even more enjoyable thanks to their ability to interpret Shapiro and Shiplin’s script for this movie. Neil Simon’s famed buddy comedy The Odd Couple was still some nine years away when Operation Petticoat premiered. Yet Grant and Curtis become their own Odd Couple of sorts as they face off. Audiences will find themselves laughing hysterically at the contradiction of Holden’s naïve yet rather devious personality set against Grant’s far more straight-laced Lt. Cmdr. Matt T. Sherman. And as straight-laced as Sherman shows himself to be, he has his own wit about himself that will have audiences laughing just as much. This is especially obvious as he takes Holden’s personal belongings to make up for Holden stealing a man’s pig at one point. This is one of the most entertaining of the duo’s moments on screen together. He also breaks up an attempt by Holden to woo one of the women that Holden brings on board, making for another of so many wonderfully entertaining moments tossed into the movie. Audiences will find plenty more such moments when they purchase this DVD for themselves. It isn’t the last of the positives that audiences will appreciate in this new re-issue, either. Last but not least of this re-issue’s positives is the overall look of the film. The overall presentation of Operation Petticoat in its re-issue from Olive Films is the last piece of this movie that audiences will appreciate. Watching the movie, audiences will see that it looks just as it did in its original presentation some fifty-five years ago. And thanks to today’s technology, its DVD presentation is automatically upconverted on any Blu-ray player. It is available on both DVD and Blu-ray. But those that purchase the DVD will be just as impressed with the movie’s look when it is upconverted. Audiences can spot every little nuance of the original movie’s quality whether on DVD or Blu-ray. It’s like watching a movie on Turner Classic Movies without having to turn on the television. Even without any bonus material, the movie’s overall look alongside the acting on the part of its lead actors, and the script collectively make Olive Films’ re-issue of Operation Petticoat a true must see for any true lover of classic films. Olive Films’ brand new re-issue of Operation Petticoat is available now in stores and online. It can be ordered online direct from Olive Films’ online store at http://www.olivefilms.com/?s=Operation+Petticoat&submit=. More information on this and other titles available from Olive Films is available online at http://www.olivefilms.com, http://www.facebook.com/olivefilms and http://twitter.com/twitter.com/olivefilms. To keep up with the latest sports and entertainment reviews and news, go online to http://www.facebook.com/philspicks and “Like” it. Fans can always keep up with the latest sports and entertainment reviews and news in the Phil’s Picks blog at https://philspicks.wordpress.com. The partnership between Turner Classic Movies and Warner Home Video has made the two companies leaders in re-issuing cinema classics. Universal Studios is a close second thanks to the recent re-issues of Cape Fear, its Alfred Hitchcock Essentials collection, and it Universal Monsters collection. Now two more companies are staking their claim in the classic movie world. Those companies are Virgil Films and Cohen Media Group. Early in 2013, the two companies partnered for the release of what is one of the single greatest classics of all time in the Thief of Bagdad. Now months later, they have released an even lesser known classic in Perfect Understanding. The plot of Perfect Understanding rests in the agreement between Swanson’s Judy and Olivier’s Nicholas that could be equated to an open marriage. Right off the top, it’s obvious just how original this is, considering social norms and values of America in the early 1930s. The agreement between the couple is meant in order to break the trend that the couple sees among its friends. Neither wants to end up like their friends. Ironically enough, it is because of the agreement that the couple reaches the point of its friends. The ensuing story is unlike anything that fans of the rom-com genre have seen since. It’s obviously not just another typical boy meets girl-loses her-gets her back in the end story. It’s almost Shakespearian in a way when one really goes back through the story a couple of times and analyzes it at a much deeper level. It should also be noted here that despite a run time of an hour and half, the story actually moves along at a relatively easy pace. This, along with the largely original story is another positive to this unearthed gem of a classic film. For a film of its era and its style, Perfect Understanding could very well have been much longer and less able to relate to viewers, even today. Luckily, it didn’t do that. And roughly eight decades after it premiered it’s still as funny today as it was in its premiere. Taking into account the film’s age, it’s incredible that it still sounds and looks as good as it does to this day. What audiences see and hear is largely what audiences heard when the film first premiered so long ago. It is a true testament to those charged with restoring the film to its original glory. And now thanks to those individuals, a whole new generation of film buffs can enjoy this rare classic. To keep up with the latest sports and entertainment reviews and news, go online to http://www.facebook.com/philspicks and “Like” it. Fans can always keep up with the latest sports and entertainment reviews and news, go online to https://philspicks.wordpress.com. Walt Disney Studios has largely made its fame on taking classic literary stories and adapting them for the big screen. For the most part, doing so has led to great success for Disney. So it goes without saying that when Disney’s heads decided to bring Victor Hugo’s literary classic, The Hunchback of Notre Dame to audiences in animated form doing so was a pretty big risk. That is because this is hardly the happiest of stories. Somehow though, Disney managed to pull off the job and craft what should be considered to be one of the company’s modern classics. Whereas its renditions of The Jungle Book, Peter Pan, Cinderella and others are considered the company’s original classics, its take on Hugo’s literary masterpiece fits nicely into the category of modern classics. This is the case for a variety of reasons. In watching this rendition, one can’t help but be taken back to Disney’s golden era. From the subtlety of the mix of hand drawn and digital animation, to the big song cues to the animation, one actually feels as if one is actually watching a stage presentation made into an animated film. And while it may be a little bit scary for younger audiences with its darker elements, it still stands as one of the better works in Disney’s modern era. Viewers that closely watch the newly re-issued Hunchback of Notre Dame I/II combo pack will catch a subtlety that others might not that harkens back to Disney’s golden era. That subtlety is a mix of animation styles. There are a handful of scenes throughout this movie that show on one side, the rougher, less “streamlined” animation style sitting side by side. This is explained briefly in the original “Making of featurette” that was included in the movie’s previous release. Actor Jason Alexander (Seinfeld) explains the reality behind the misconception that all animation done for Disney movies—at the time—was done by computer. The difference between the hand drawn animation and digital animation is pretty clear. And the very fact that animators tried to duplicate the animation of Disney’s famed “Nine Old Men” even in the slightest in this feature makes it worthy of at least a little bit of respect. If the attempt by animators to replicate the animation of Disney’s most famed animators isn’t enough for viewers, then perhaps the story’s musical numbers will help win over audiences. Composer Alan Menken returned for this movie after having massive success nearly a decade prior on another of Disney’s biggest modern classics in The Little Mermaid. The animation works in tandem with the big musical numbers to really leave viewers feeling like they are watching a stage presentation in animated form. That’s even more the case now that the movie has been re-issued on Blu-ray. There is just a certain quality on which one can’t put one’s finger that pulls audiences in and makes the story believable. That’s the sign of a quality work. If the song cues and the animation aren’t enough, then the movie’s more comical moments will entertain audiences. Even in some of the movie’s darker moments, the story’s writers come up with some pretty funny moments to help lighten the mood. A prime example of this comes late in the movie, in the final showdown sequence. As Quasimodo and Frollo face off in the cathedral’s tower, soldiers are below, trying to break in. Laverne (voiced by the late Mary Wickers) helps in the fight by calling on a large group of birds. This moment is a tribute not just to the classic Warner Brothers movie, The Wizard of Oz, but also to Alfred Hitchcock’s horror classic, The Birds. While the latter tribute may have been unintentional, it is there. It’s just one of so many moments that will have viewers laughing. Add in Jason Alexander’s comedic timing and viewers get more than enough laughs to offset the movie’s darker moments. Those darker moments being offset and the movie’s enjoyable musical numbers and hybrid animation together make The Hunchback of Notre Dame one of the better movies from Disney’s modern era. One might even go so far as to call it one of Disney’s modern classics. It is available now on Blu-ray/DVD combo pack in stores and online. 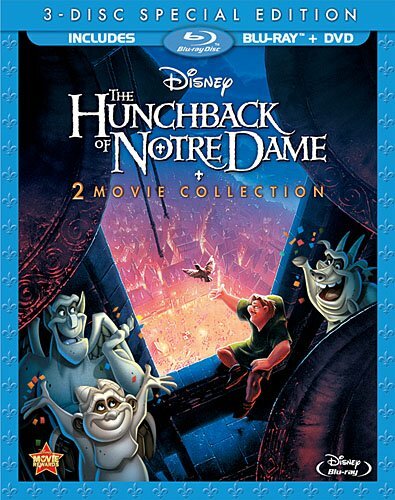 It can be ordered direct from the Disney store at http://www.disneystore.com/the-hunchback-of-notre-dame-blu-ray-and-dvd-combo-pack/mp/1331583/1000316/ and at the Disney DVD store at http://disneydvd.disney.go.com/the-hunchback-of-notre-dame-two-movie-collection.html. To keep up with the latest entertainment reviews and news, go online to http://www.facebook.com/philspicks and “Like” it. Fans can always keep up with the latest sports and entertainment reviews and news in the Phil’s Picks blog at https://philspicks.wordpress.com. Fox Searchlight’s Hitchcock is quite the interesting story. While it would be so easy for some to attempt to call this largely independent film a glorified biopic, it is anything but. It is in fact one more movie adapted from the written word. 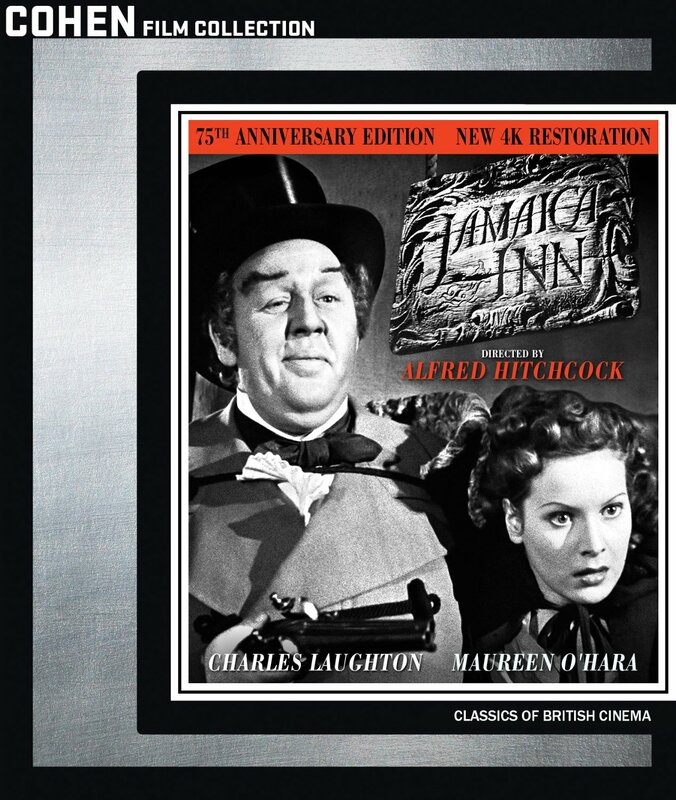 It has been adapted from the book, Alfred Hitchcock and the Making of Psycho. Author Stephen Rubello’s book is a nonfiction work. It’s one thing to try to adapt a fiction work to the big screen. It’s a whole other task to try to translate an author’s work from a nonfiction into a near two hour movie that will be accepted by both uninitiated audiences and those more “experienced” Hitchcock devotees. That has already been evidenced in the likes of Public Enemies. The original book on which it was based is an excellent read. But the big screen take on that story hardly translated. So the question remains, where does Hitchcock get things right where other historically based movies adapted from nonfiction books get it wrong? Despite what apparently many critics and audiences had expected of this movie, it is not just another standard biopic. Rather it is the story of how the famed director made his now legendary cinema classic. It examines not just how he made the movie, but how the movie made him. Audiences see in this story, the impact that making Psycho had on his marriage, too. In simple terms, this adaptation of Rubello’s book is less a history lesson and more a romance. It portrays a couple that is nearly torn apart as each becomes wrapped up in their own personal projects before each reach a revelatory point that brings them back together. This, in turn, leads the husband and wife team to finish Hitchcock’s masterpiece that remains one of horror’s best ever. Audiences are instantly pulled into this movie as Hopkins introduces the story exactly as the real life Hitchcock had done in his classic TV series, Alfred Hitchcock Presents. This homage to Hitchcock history is enough to generate some laughs and applause from those who remember the classic program. From there, the combination of the movie’s sets and costumes work together to keep audiences fully engaged in the story, as they strive to keep the story as historically accurate as possible. Also worth noting here is the inclusion of facts about how studios and censors operated in the days of Psycho. This was one of the hurdles which Hitchcock had to face in bringing his movie to the masses. While the process of bringing Psycho to theaters may or may not have played out exactly as portrayed in this movie, it will still keep audiences engaged. And seeing him overcome everything thrown out at him, audiences will cheer at his success. That cheering will continue right to the story’s end. The reason behind that will be left to those who have yet to see the movie. But any viewer that knows anything of Hitchcock history will appreciate it, and will in turn be left agreeing that this turns out to be a movie worth having seen at least once. While it may not be the most original of stories, House at the End of the Street is a story that will keep audiences watching right to its conclusion. That is thanks in large part to scriptwriters David Loucka and Jonathan Mostow. What Loucka and Mostow have done with House at the End of the Street is taken a time honored story and updated it for a new generation. There’s no denying that as predictable as it is, it does do an impressive job of keeping audiences’ attention. It does this by throwing in just enough plot twists to keep audiences thinking they know what’s going on, only to have their minds twisted. As the near two-hour story proceeds, audiences find that everything they thought they knew was wrong. That even applies to the story’s conclusion. Loucka and Mostow leaving audiences guessing right up to the end, wondering about Ryan (Max Theriot) and his sister, Carrie Ann. Perhaps part of the reason that the story manages to keep audiences engaged and wondering–as predicatable as it seems–is that unlike so many movies in today’s horror/suspense/thriller genre, it doesn’t rely on blood and gore to call itself a horror. It’s really more of a psychological horror in the vein of classic Hitchcock and King stories. Audiences get a slightly better understanding of this in watching the movie’s sole bonus feature, “Journey Into Terror: Inside House at the End of the Street.” Star Jennifer Lawrence (The Hunger Games) makes a brief mention of this. But it isn’t until she makes mention of it that audiences might catch onto it. As the old adage states, hindsight is 20/20. And in an era when so many horror movies are more bloodshed than story, it’s nice to have a movie within the genre that takes the road less travelled. It’s that same road hat any true horror purist will want to watch at least once. House at the End of the Street is available now in stores and online. It can be purchased online at the 20th Century Fox online store, http://www.foxconnect.com.